As much as we'd love to walk around with hair the size of Beyoncé's in front of a wind machine, life isn't always set up that way — especially if you have fine hair. Having finer strands isn't a bad thing, necessarily; it just means that the diameter of each strand is less than the diameter of thick strands. That said, you might find that your style tends to get oilier, and falls flat more quickly, than hair that has more heft. That's where hairspray comes in. Before you roll your eyes — we're not talking about the super-freeze spray of the '80s responsible for your great aunt's larger-than-life pompadour. We're talking modern, refined formulas that can make fine hair appear more full without feeling like a blast from the retro past. Today's sprays can not only help you fake thicker strands, but they can add beachy texture, sop up oil, and act as a finisher all at the same time. Ahead, we rounded up some of our favorite sprays for fluffing up fine hair — no crunching or flaking in sight. Lugging around two separate bottles of spray for volume and texture gets heavy (and expensive). Instead, keep this bottle — which adds both texture and volume — close by. 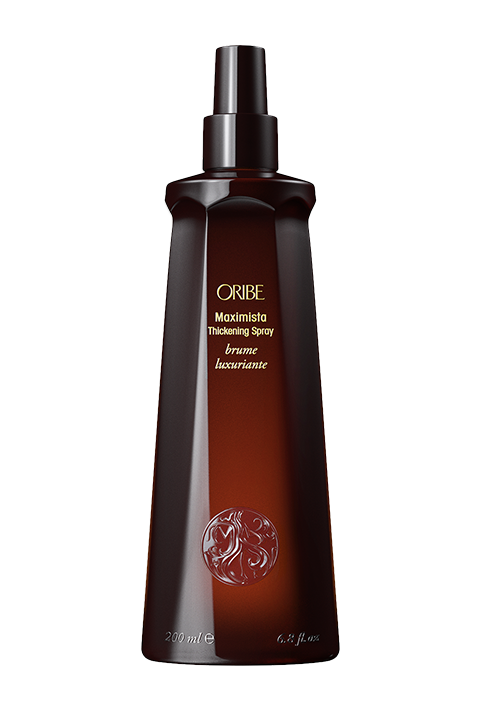 It'll create weightless body that's still soft to touch, while making your hair look effortlessly tousled. That Beyoncé hair you're after? You'll get it in this can, which delivers a fine mist that takes flat hair all the way up. Spray it a few inches away from your roots (or wherever needs to be perked up) and tease with your fingers. You'll have fuller hair with better style memory in a matter of seconds. 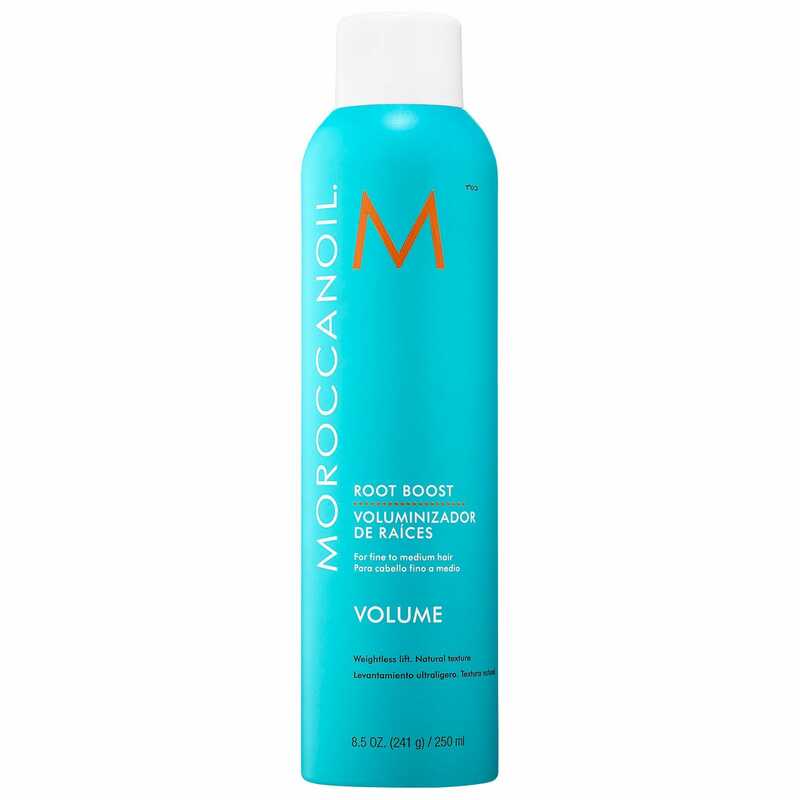 The volumizing polymers in this spray will latch onto your strands and give them an invisible lift. Vitamin E will also add a subtle shine to dry hair. 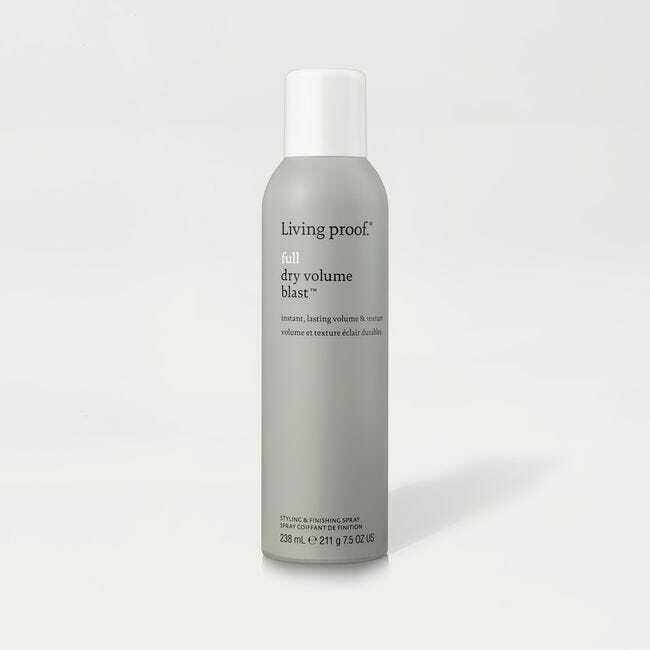 Use this spray on wet hair before a blow dry and you'll be left with waves that are so full at the root, it'll look like you did a roller set. If you're not a fan of volumizing foams, try this spray-on formula instead. You can target it directly to your roots and heat style as usual. Thermal protection properties mean that, if you're going in with a dryer or flat iron, your roots are lifted and protected. Consider this powder spray your volumizer and dry shampoo in one (really cute) bottle. The narrow nozzle allows you to place product exactly where you need to absorb oil and add texture. Bonus points: The formula is vegan and talc- and aluminum-free.